A high-ranking delegation of US lawmakers, led by House of Representatives Speaker, Democrat Nancy Pelosi, sought to reassure Europe of Washington’s continued commitment to transatlantic ties and NATO during a visit to Brussels on Tuesday (19 February). “We began our visit in Munich, where around 10% of the Congress was present, Democrats and Republicans, members of the House, members of the Senate. 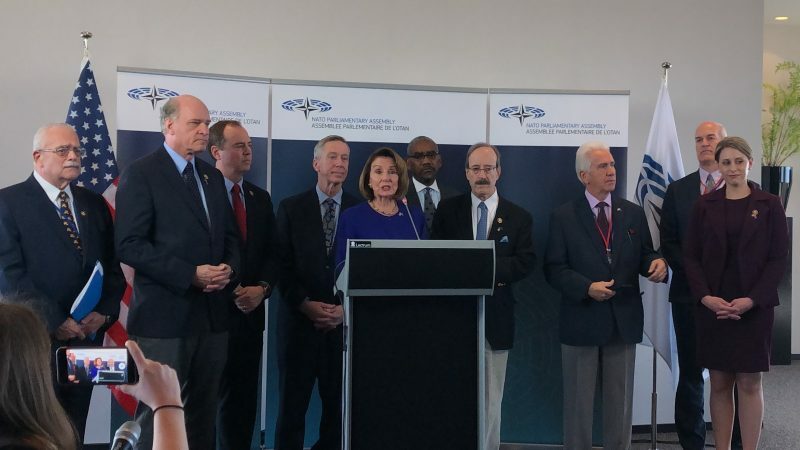 All of them here, reaffirming our commitment to the Transatlantic Alliance, our commitment to NATO, our respect for the European Union,” Pelosi told a press conference in Brussels. “I think our message is a very clear one,” she said in comments aimed at relieving the growing transatlantic tensions caused by the Trump administration’s ‘America first’ agenda and its criticism of European allies. Pelosi’s previous official trip, which also included destinations in Europe, was cancelled earlier in January by President Trump due to the “government shutdown” of the US federal administration. “Now more than ever we need NATO as we go forward because the challenges are more complicated than a bipolar relationship with the Soviet Union…it’s now much more diverse and the friendships we have much more important,” Pelosi said, adding that cybersecurity, money laundering and human exploitation are new threats which require a common approach by the United States and the EU. Pelosi also stressed that there was strong cross-party support in the US Congress for the military alliance and underlined that ‘power of the purse’ ultimately belongs to Congress, not President Trump. “We have Article 1, the legislative branch, the first branch of government, co-equal to the other branches and we have asserted ourselves in that way,” she told reporters alongside a cross-party delegation from the US Congress to the NATO Parliamentary Assembly. The US lawmakers recalled their good ties with Europe and emphasised the importance of the relations between the US and Europe, as well as America’s commitment to liberal democracy. US Congress members recalled a Congress resolution adopted in mid-January by a 357-22 majority to bar the use of federal funds to withdraw from NATO. The act was seen as an important bellwether for how much US lawmakers can tie the hands of the president if he were to withdraw from yet another international agreement. “I don’t think that there’s any difference between Democrats and Republicans on our relationship with NATO. This is not partisan in any way,” Pelosi added. In recent months, Trump has repeatedly questioned his country’s commitment to NATO, arguing that Europeans need to step up their contributions instead of taking US protection for granted. “Our commitment [to NATO] remains firm, yes, we have discordant voices in our government but ours is a shared power government, we aren’t a parliamentary system,” Connolly told EURACTIV on the sidelines of the press conference. He pointed out that no House speaker has ever come to NATO before, so Pelosi’s visit was also meant to be a statement. 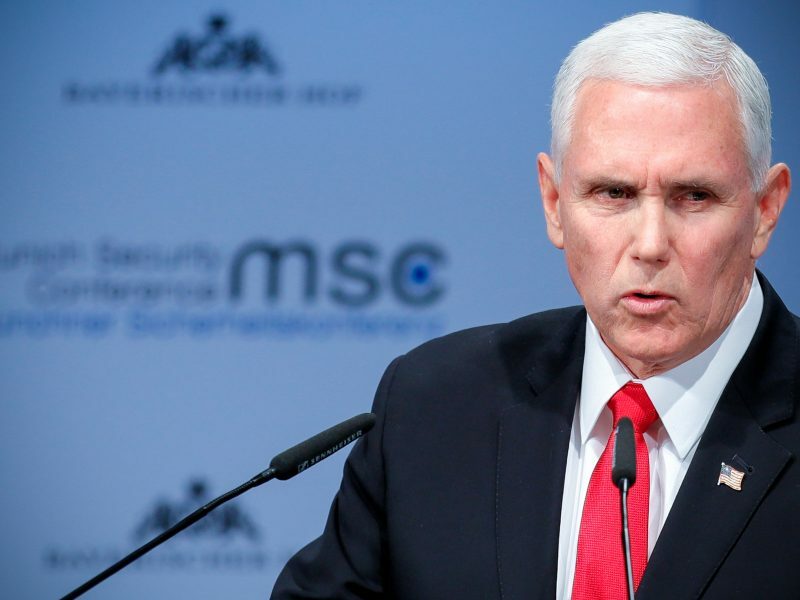 US Vice President Mike Pence urged European allies once again on Saturday (16 February) to follow Washington’s lead and withdraw from the landmark 2015 nuclear deal with Iran, saying the regime there “openly advocates another Holocaust”. Pelosi met with Commission chief Jean-Claude Juncker on Monday and foreign policy chief Federica Mogherini on Tuesday, and she also attended a two-day NATO Parliamentary Assembly. 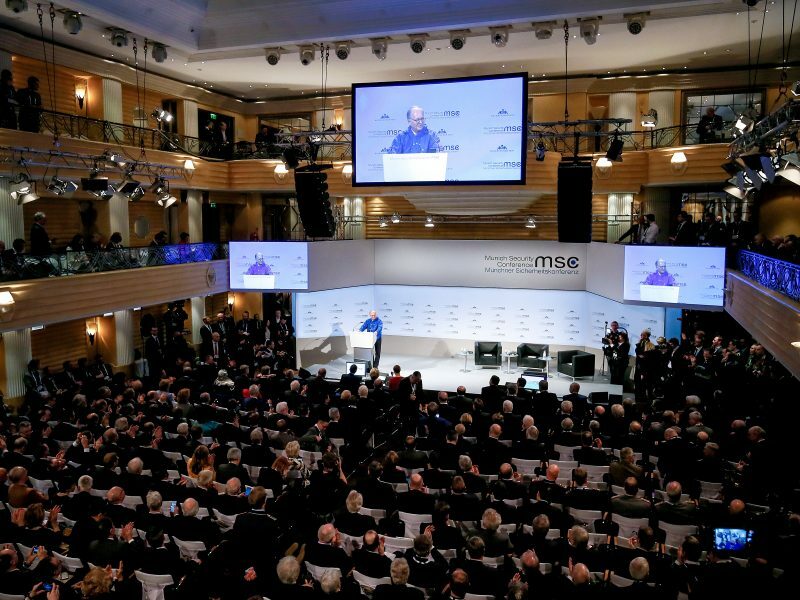 Before coming to Brussels, the US delegation attended the Munich Security Conference last weekend, which saw by far the largest bipartisan US presence to date with more than 90 US officials and 50 members of Congress that sought to underscore the commitment of the large parts of America they represent. None of this helps to make sense of the European situation where all the armies, adding up to a huge number, stand opposed to each other. The armies of EU member states should be integrated to defend Europe as a whole. That should be the first priority with NATO as a second. Putting NATO’s interests first will leave Europe divided, the project incomplete and America will use that to its advantage. What we need is a strong Europe first and American support second, not the other way around.